November is the month of the Holy Souls, a special time when we remember those who have gone before us. 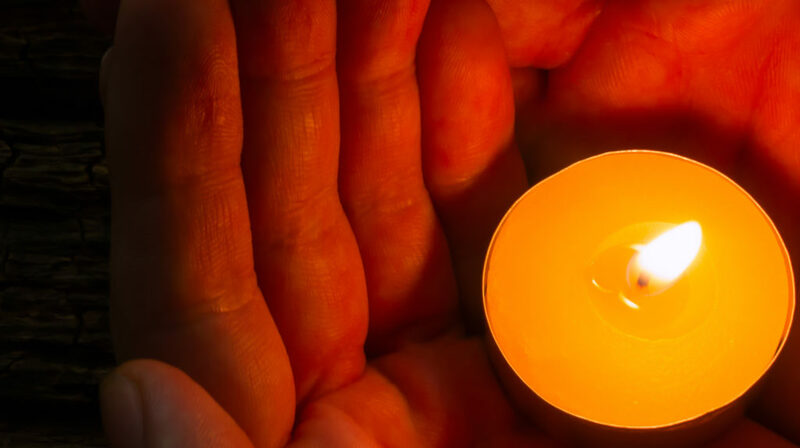 The Light Up a Memory Mass is a beautiful celebration of the lives of our dearly departed, as we join together to pray by candlelight in an evening of reflection and remembrance. Each year, the Missionaries of the Sacred Heart bring the month of November to a peaceful and prayerful close with our annual Light Up a Memory Mass. On the evening of the Mass, the Sacred Heart Church is illuminated by the glow of hundreds of candles, with choral music adding to the peaceful and prayerful ambience. We come together to pray by the welcoming glow of candlelight in an evening of reflection and remembrance, with each flame burning brightly in memory of those whom we have lost. All are welcome to join us in reflection on this special night, and to submit the names of departed family, friends, and loved ones for remembrance. We would greatly appreciate your support for our ongoing mission projects, and in gratitude for your contribution, we will be glad to remember your intentions at our annual Mass. You can then submit the names of your departed loved ones online, and our MSC priests will remember them specially during our Light Up a Memory Mass. Mission friends from all over the world can watch the Light Up a Memory Mass live here on our website. The Light Up a Memory Mass takes place every year on the last Saturday in November.